Her advocacy is fostering health and wellness. 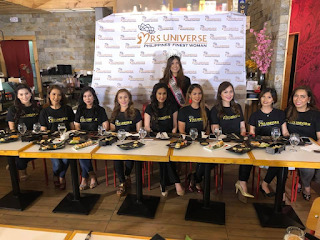 The local franchise for Mrs. Universe is now managed by PHQ (Philippine Honorable Queens) led by Marilou Tolico Villanueva from Cebu who’s a past title holder and represented our country in the 2017 pageant held in South Africa. 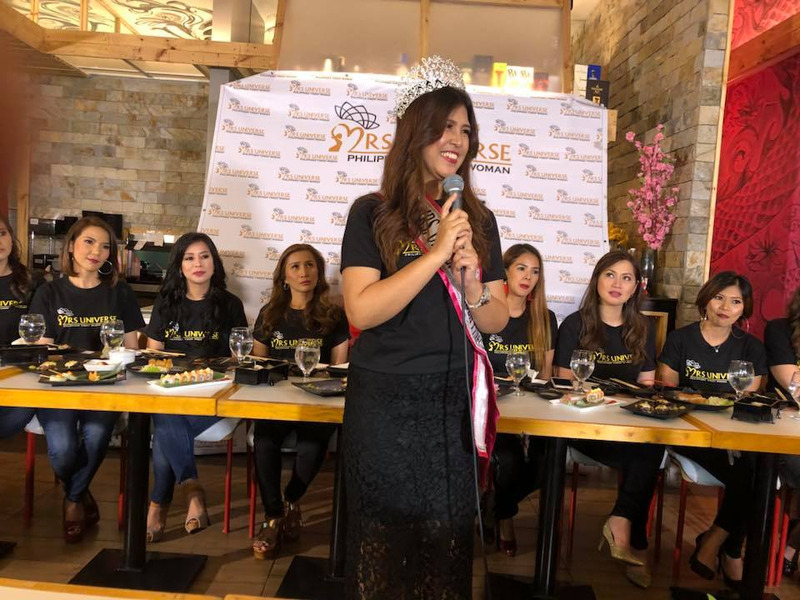 “They asked me to handle the contest here and we’re having a rebranding of the pageant with Mrs. Universe now known as the Philippines’ Finest Woman," says Marilou. The other candidates presented to the press are: Maria Estrella Zaldivar-Sibayan from Albay - She’s a DWIZ anchorwoman with Atty, Ferdie Topacio as co-host. She has two kids and her advocacy is women & children’s rights & cancer awareness. Charo Laude Calalo from Batangas - a former That’s Entertainment mainstay for the Monday group, she’s been married for 22 years and has 3 kids. Her advocacy is to protect women and children against violence. Johanna Jacinto Ticzon - She has 3 kids, married for 22 years and is against domestic violence. Sheryl Fordan Villanueva from Bicol - Has been married for 18 years, has three boys, wants to foster literacy through community outreach programs. Vangie Esquejo Jien from Muntinlupa - married for 21 years, has one child who’s now 19, and her advocacy is promoting livelihood and self reliance. Arlene Poyawan Galvez from San Carlos, Pangasinan - Married for 11 years, has a seven year old child and her advocacy is to fight depression. Lovely Gervacio Tajan from Muntinlupa - Married for 8 years, has two kids, and is against domestic violence. Beau Singson Villanueva from Iloilo - She’s into her second marriage, has three kids and is against the exploitation of women and children. All the other candidates will be coming to Manila today, September 5. Tomorrow, they will join a personality improvement program, fitness queens’ fashion show and a photoshoot, then there will be a talent night and friendship night. Friday will be the parade of National Costumes. Saturday is the finals night where the 2018 and 2019 Mrs. Universe winners will be chosen, plus Mrs. Earth, Mrs. World, Mrs. Globe, Mrs. International, Mrs. Asia and Mrs. Intercontinental. There will be local jurors as well as international jurors from Malaysia, Singapore and Russia.